I wish this valuable resource a very long and active life! Herbert Stanley WHEELER's dates on his wife Vera's gravestone in Woodbridge cemetery have enabled me to locate his origins. The inscription also indicates that she was a mother and grandmother, giving me more generations to be traced. 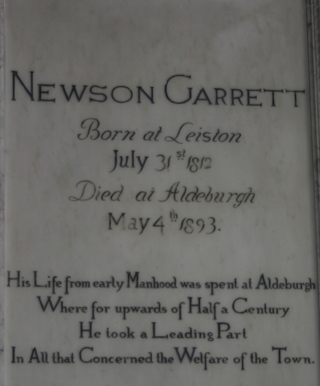 When did Newson Garrett die?